MB Jarvie Car Service Glasgow | Get in touch via our CONTACT page | Hours: 8.30 - 5.00pm, Monday - Friday. M B Jarvie Ltd are long-established, IMI-registered, independent specialists in servicing, repairs, car air conditioning and diagnostics. Have your car air conditioning system serviced and maintained by trained, IMI-recognised, certified professionals. M B Jarvie Ltd – your car air conditioning Glasgow specialist. These days, most new cars come with some form of air conditioning or climate control. These systems use a special gas to cool the air which in turn helps control the temperature within the vehicle. The system also dehumidifies and cleans the air. As part of the vehicle service options offered at M B Jarvie, we will carry out a visual inspection of your air conditioning system and inform you when your vehicle is due a re-charge. To avoid costly repairs and complete system failure, we recommend that the system is serviced and recharged at least every 2 years. Contact us at your convenience for a temperature vent test, pressure test and visual inspection. Over a period of time the system can lose gas or become contaminated. In addition, filters gradually become saturated which can cause the system to become inefficient or fail completely. For this reason air conditioning units should be regularly serviced in a similar manner to other vehicle parts. 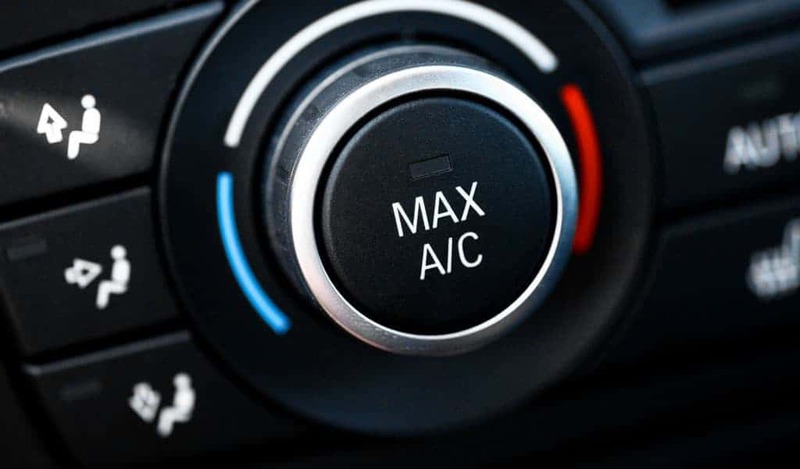 If you’ve noticed your car air conditioning system isn’t blowing cold anymore, this is generally an indication that a fault exists within the system. At M B Jarvie Car Service, we are able to diagnose and rectify faults with your car air conditioning system. Given it’s numerous system components, the modern car air conditioning system presents significant scope for faults. When investigating a fault with your car’s air conditioning system, we will carry out a range of tests and checks including physical and electrical system integrity testing. Upon confirming the fault(s) we will provide a report and present a recommendation going forward. All air condition repairs are carried out in-house. My car's AC has been recharged and still isn't working. How much will it cost to fix? It is not possible to provide a cost to repair an air conditioning system fault before diagnosis and leak detection and has been carried out. Following confirmation of a defective air conditioning component, we will be able to provide an estimated cost to repair. If your air conditioning system is not working or you suspect a leak, we advise that you book in for diagnosis and leak detection (see pricing table below). How often should I have my air conditioning serviced? The recommended interval for having your car’s air conditioning system services is every 2 years. How long does an air conditioning service take? 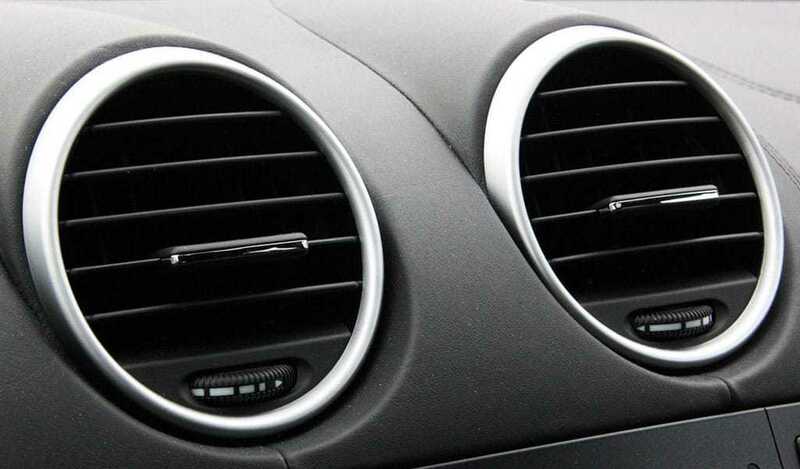 We endeavour to complete routine car air conditioning services within the day. If, during the air conditioning service, we find anything outside of the scope of the AC service that requires attention, we will notify you of this with a recommendation/report. What is included in an air conditioning service & how much does it cost? Do you work on systems using refrigerant R-1234YF? At this time we are unable to service R-1234YF systems. *If inspection reveals your pollen filter is not in a serviceable condition or will inhibit the efficient operation of your air conditioning system, renewal will be advised (additional cost applies). **While in the overwhelming majority of cases our diagnosis & leak detection process reveals the defective/leaking system component/s, due to the fact that a portion of the vehicle’s AC system is located inside the vehicle, we are unable to apply our leak detection process to this area. Therefore, we are unable to guarantee that a fault will be found. In most cases it would be prohibitively expensive to expose the air conditioning system components located inside the vehicle. Established in 1981, we are an independent car service and repair garage based in Kinning Park on the south side of Glasgow. We specialise in the service and repair of German cars including Mercedes-Benz, Volkswagen and Bentley. We are also an MOT testing station and provide a full range of car repair services for both modern and classic cars. As a small, family run business, we provide a personal and direct service, taking pride in our ability to repair faults whenever possible rather than merely replace parts. Whether you own a luxury saloon or family hatchback, with our fully equipped workshop, highly trained and qualified staff, we can help with all your motoring needs and save you money. Drop us a line or pop in to see how. We want to provide our customers with the best service possible in car servicing, repair and diagnostics. We’re serious about what we do and want our customers to be secure in the knowledge that they’ve brought their car to the right place and trust us from the first visit. We separate ourselves from other independent garages in several ways. We keep our technical knowledge current though regular training and pursue industry recognised qualifications. With an IMI-recognised Advanced Automotive Engineer as part of the M B Jarvie team, we place ourselves above even main dealers when it comes to ability, knowledge and skill in vehicle repair and diagnostics. Ultimately, we’re equipped to get our customers cars diagnosed, rectified and back on the road in the minimum amount of time. Established in 1981, we are proud of our success to date, having built up a large and loyal customer base. We remain a small company…with a big reputation. Was in today at short notice, great service and very friendly. Will definitely be back. Much appreciated MBJ team. Always great service, been using them for about 5 years now, wouldn't go anywhere else! Faultless service - cannot recommend highly enough! It's such a relief to be able to hand over your car for a service with total trust in the company. Great service and professional. Have been going there for years and super reliable!!! Very reliable. Great service. Very glad to have found this garage. Great service! Came recommended and delighted they did! A superb garage... friendly, helpful, and utterly reliable. I wouldn't go anywhere else. Quality, reliable, trustworthy. What everyone needs from a mechanic. Amazing service. Second to none. 65 Stanley Street, Kinning Park, Glasgow, G41 1JA. VAT registration 353 6123 71. Company Number SC075814.